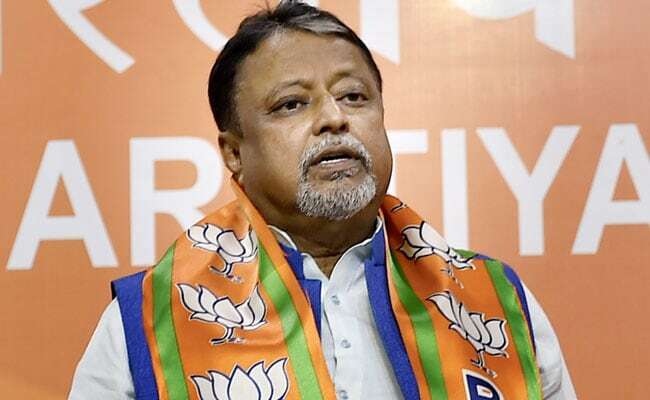 Kolkata: Even before former Trinamool Congress or TMC leader Mukul Roy returns to Kolkata from Delhi today, three days after he joined TMC's rival BJP, the impact of his change of colours is beginning to be felt. On Friday, a top police officer -- the Additional Director General and Inspector General in charge of the key Criminal Investigation Department -- was transferred to the pollution control board. Dr Rajesh Kumar, an Indian Police Service officer from the West Bengal cadre, had served as officer on special duty or OSD to Mr Roy when he was Railway Minister in 2012. As head of the CID, Mr Kumar had been handed key cases, including the probe into the death of a police inspector in an alleged encounter on October 13, tracking down Bimal Gurung, the Gorkha Janmukti Morcha leader now on the run from police. Dr Kumar's transfer coincides with the Centre initiating an National Investigation Agency's probe into several cases in Darjeeling, including the inspector's death and cases against Bimal Gurung. The TMC has not publicly reacted to the NIA team going to Darjeeling to begin its probe. Trinamool leaders have dismissed Mr Roy's change of loyalty as not a threat. But the former Trinamool leader's influence in several circles, including the police, is well known. A team of NIA officers was in Darjeeling the day Mr Roy was at the BJP's headquarters in Delhi, donning saffron and promising Bengal would have a BJP government by 2021. Bimal Gurung has welcomed the NIA probe. A statement issued by his faction of the party said Mr Gurung had demanded a Central probe since August after some bomb blasts in Darjeeling. "The Morcha welcomes the MHA's initiative in transferring the current investigations undertaken by the West Bengal CID... in several cases including the alleged arms haul case and the suspicious circumstances under which the police officer Amitabha Mullick was killed... to NIA," the Morcha said. It is not clear whether the NIA will take over the cases from the CID or both agencies will investigate simultaneously.